It dawns on me that I haven’t really spent much time talking about Fruitvale Station, the tragic story of Oscar Grant‘s last day before getting killed by the BART officers in Oakland, CA. It’s a hard movie to watch; it’s eerie, grim and will bring anyone with a conscience close to tears. It’s not exactly perfect: there are scenes that feel shoveled in that may not be accurate and a lot of the emotions it elicits have more to the with the actual story (and its relation to the similar death of Trayvon Martin) but it is important, and sometimes an important movie is enough to overcome any shortcomings. Fruitvale Station opened on the weekend George Zimmerman was acquitted for killing Trayvon. It’s a eerily familiar reminder that the more things change, the more they stay the same. The problem isn’t with the verdict really–based on the mess that is Florida law, there wasn’t really enough evidence to convict Zimmerman of a crime–the problem was the case itself. Rather than address the killing of Trayvon Martin, the case became the story of the scary black teenager who threatened the nice neighborhood watchmen and how, despite being an unarmed kid who weighed less than the MMA-trained watchmen, you would be just as scared too. 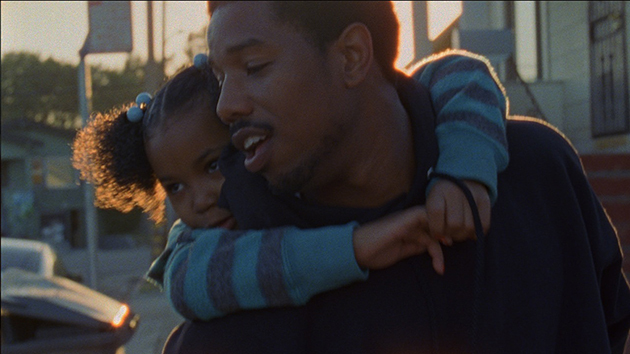 What makes Fruitvale important are all the things that shouldn’t make it important. It’s a story that happens too often and will continue to happen. It’s the story of kids who are born suspects and aren’t allowed to make mistakes or grow up to be better men because of the world they live in. A world where a jury declares a man innocent not because of evidence but because they understand his fear. The story of Adam and Eve eating the apple is interpreted as the story of delving into sin and suffering the repercussions of it. Fair enough; to me though, it’s the story of knowledge. The story of sinking your teeth into what’s really happening in the world around you and finally seeing it for what it is: a complicated, hypocritical mess steeped in violence and power. In Florida right now, you have the Dream Defenders making their voices heard at the governor’s office. You have a post-internet world that deals with racism in the most confrontational, ugly way and you have opinion writers and news personalities engaging and attacking each other in order to prove that their worldview is right. People often say we need to have a discussion on race, but we’ve always been having a discussion on race–and it’s getting louder and louder. It’s rough and hard to swallow at times, yes; but it’s the convo we need. There are people who will justify what’s wrong as there always tends to be but the good will always outweigh them. We are no longer pretending the apple isn’t there hanging from the tree, we’re grabbing it and finally deciding whether to eat it or not (and this is with everything, not just race). There is no place anymore for people like Don Lemon to pretend that being “good negroes” will save us from death. There is no more tolerance for people like Richard Cohen to talk about the justified fear of young black men. Your Rush Limbaughs, Sean Hannitys and Bill O’Reillys are nothing more than passe’ racists yelling at clouds. It’s no longer ok for successful black men like Jay Z to embrace their privilege with arrogance and call their time “charity”. We see the world around us and we can no longer pretend that we don’t. That’s the world we live in at the time of Fruitvale Station. While this film, by the young, first-time director Ryan Coogler, is a lot of things–warm, lovely, disturbing and actually pretty funny–it’s first and foremost important. It’s the film we need right now to remind us of how much farther we have to go. Who’s bad enough to take a bite.